Yes Northampton was alive with the sound of music as Sunday saw Northampton become overrun with live musical talents of all genres. 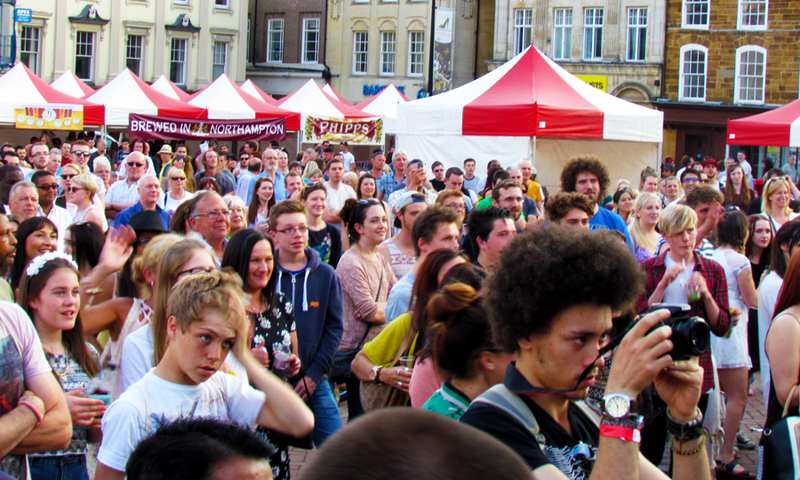 The 2014 Northampton Music Festival was a phenomenal success with acts both local and from further afield taking to the various stages found around the town. Now in its eighth year, the festival has gone from strength to strength and this year has seen the most amount of acts and stages since the festivals inception. 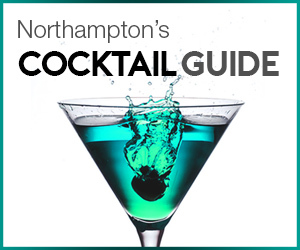 The stages were found in various venues across Northampton, including the NN Cafe, Department of Liquor and Social Affairs, Black Bottom Club and more. 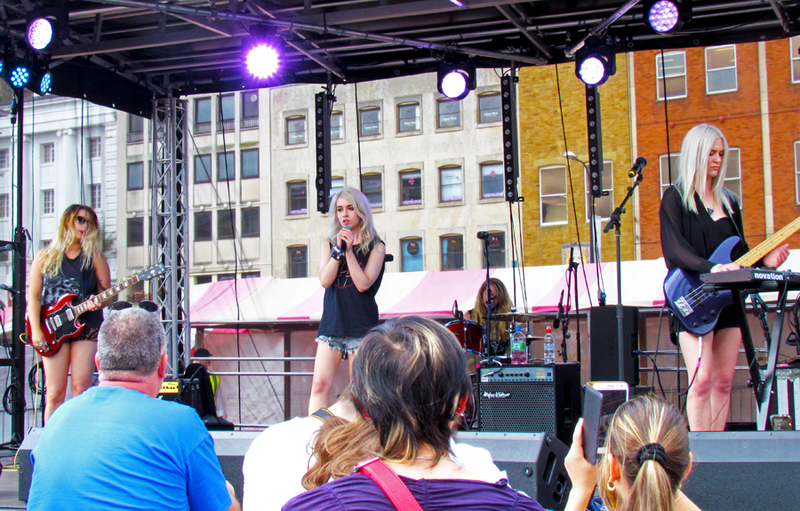 The main stage was found in Market Square whilst the All Saints Stage was found in between Mercers Row and George Row. 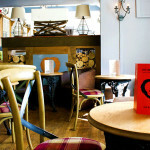 The free event was attended by many throughout the day, with venues becoming busier and busier as the day went on. As 60 musicians took the various stages, lucky attendees where entertained whilst making the most out of the sunny weather. 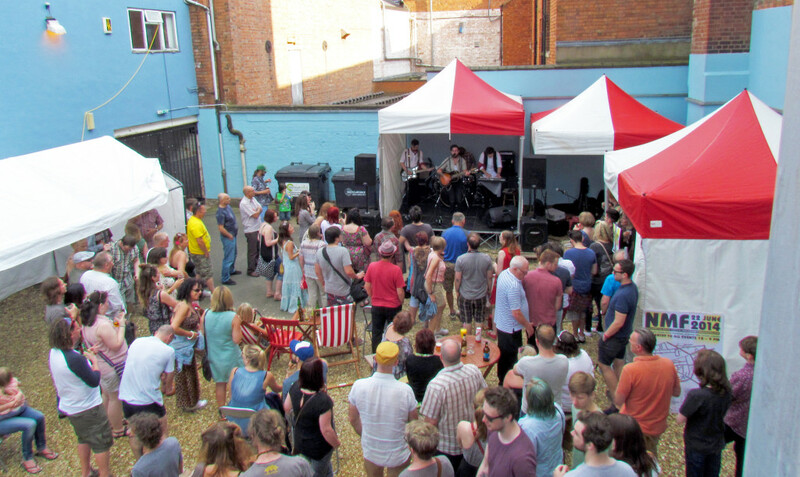 The atmosphere was relaxed and the events ran without a hitch; we take our hats off to the organiser, Northampton Music 365, for running an incredible festival. As well as brilliant music, the venues were also on hand with various local brews to keep the thirst at bay from revellers. Phipps NBC, Carlsberg, Frog Island, Hoggleys Ales and Saxby’s cider were all available in the market square and other venues. Phipps also provided Kingsmell Mineral Water for free for the event which, as many visitors will tell you, was a god send as the heat bore down on Northampton. 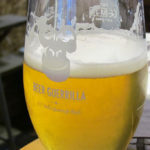 With local talent in abundance and a fine range of local brews readily available, the day was a triumph. We went and visited some of the stand out acts that performed on Sunday; each act performed brilliantly and was a pleasure to watch. 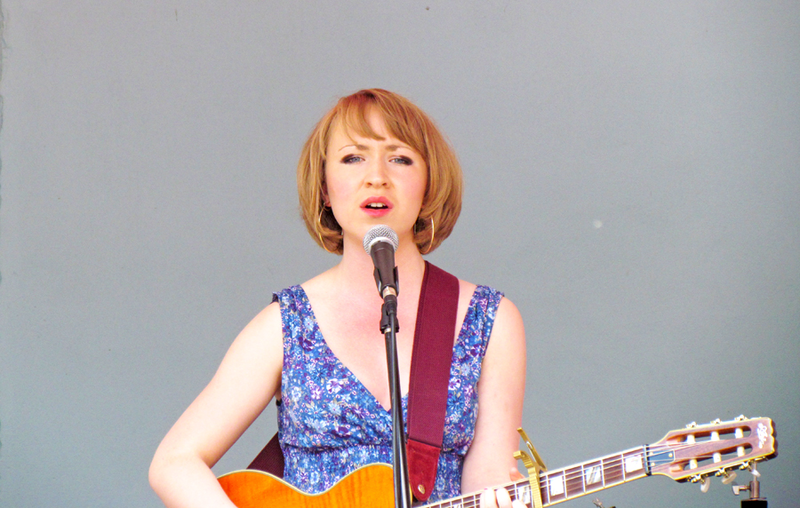 The Northampton based singer/songwriter Leila Jane serenaded the people of Northampton with her incredible folk and country blues inspired music. The young artist’s melancholic vocals combined with her guitar made for some easy listening on the warm afternoon at the NN Terrace. The four blonde bombshells that make up Nevermind are all extremely talented musicians all in their own right. With Rio on bass, guitar and vocals, Megan on synth, bass and vocals, Lexi on the drums and Coco Lloyd on lead vocals, the band played a number of their hits, including “2 lines”, their popular track that received wide BBC Radio 1 play. 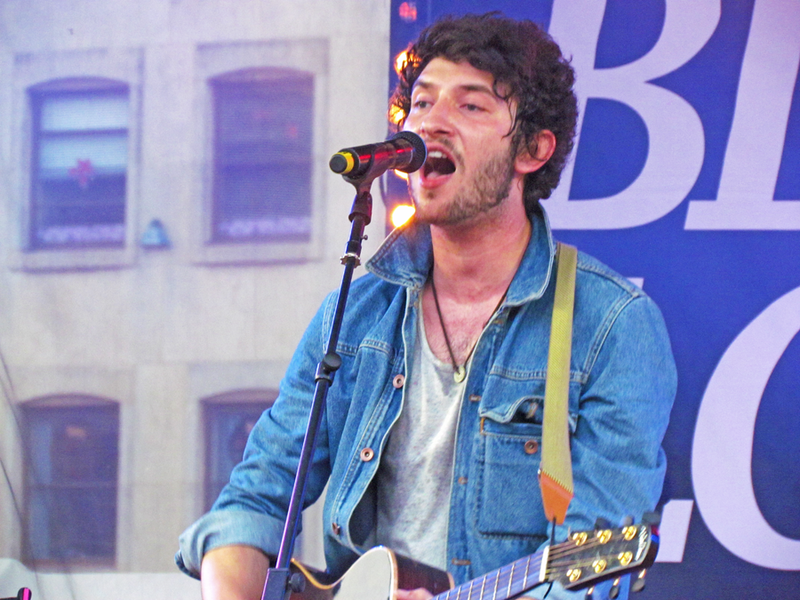 A mix of electronic, rock and pop, the band brought something very unique to the festival’s main stage. Sean Grant & the Wolfgang thought provoking and powerful lyrics left audiences stunned as the band played their rare breed of punk-tinged folk music. The band attracted quite the crowd at the NN Terrance stage, with onlookers enjoying the melodic and yet brilliantly intelligent music on offer. Oh, and regarding the beard, good show our dear sir, good show. The bands unique, uptempo music features a blend of different styles including rock, reggae, blues and funk, creating something completely different and incredibly infectious. 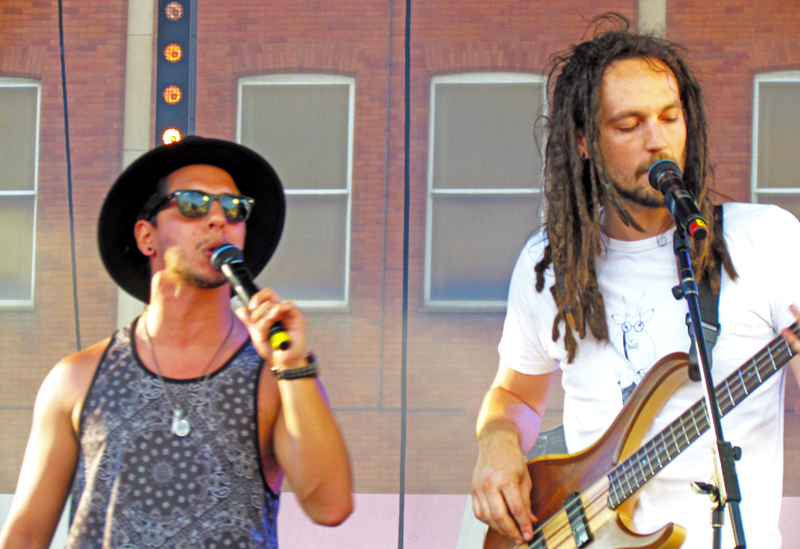 With their high energy music pulling in the crows, Cousin Avi injected energy and excitement into the festival. The headlining performance of the night and the one that the crowds piled in for. It has been over a year since Northampton’s very own Billy Lockett played in the town and ladies and gents from all ages were eager to hear the young man perform. Playing a range of songs, from uptempo indie pop to slower, more ballad like songs, the Northampton musician impressed with his great vocals and skills on the guitar and piano. Supported by his talented band, it proved to be the highlight of what was a fine day. With the sun shining and good music in the air, it is a triumph to Northampton that the local community and local businesses gave so much support to raising the profile of Northampton for music. 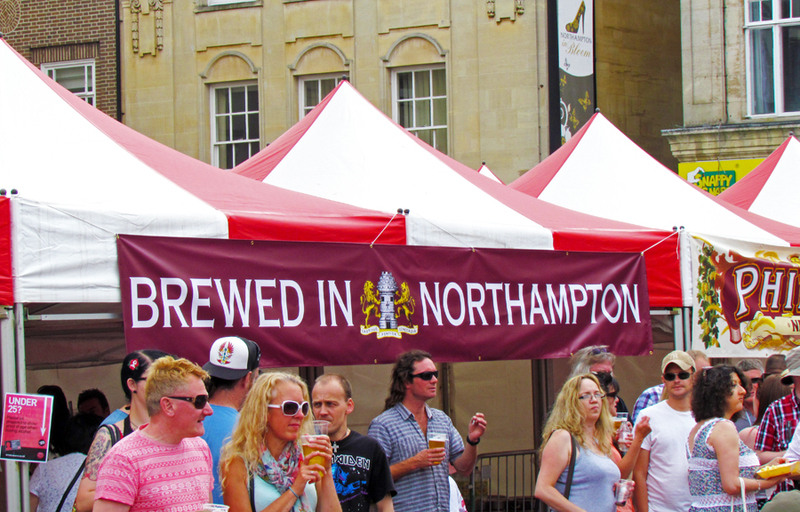 The Northampton Music Festival 2014 was a great day and for the gents that did not attend, we would suggest you pay a visit next year. Unfortunately our dear sir, a lot of our day was spent doing interviews with various performers which meant we missed a few of the performances. Next year we’ll be sure to have more feet on the ground! 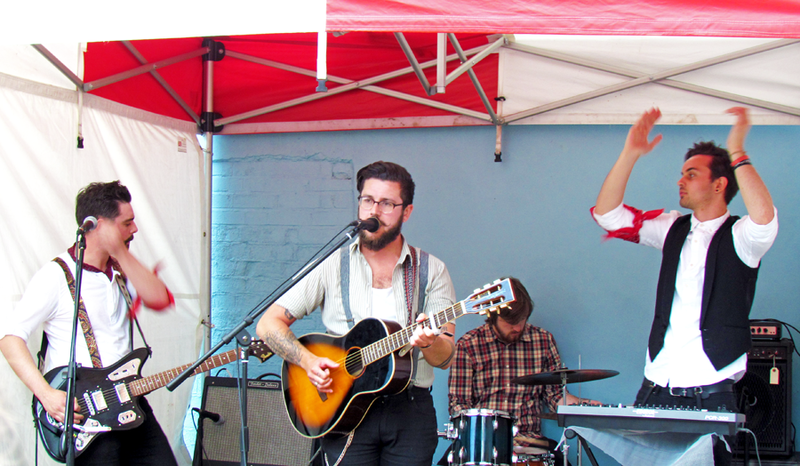 This was a fantastic day out, my highlight of the day was Jono Bell and the Uke Dealers and Leila Jane, I liked it how there was a variety of music rather than just the same music all day !!! The weather was absolutely fantastic and much looking forward to next years event.